The Indian men have done it only second time in 20 editions of the championships, having won gold in 2004 in Malaysia under Sharath Kamal, who went on to win his individual gold, too. England came into the competition without their star player, world no.64 Liam Pitchford and 66-th ranked veteran Paul Drinkhall. 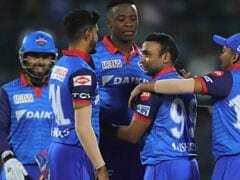 The Indians on the other hand did not have their top player Sharath, who was forced out of the event after suffering a freak accident in Germany. For the women, this was the fourth occasion to claim silver. They had won the white metal in 1975, 1983 and 1991. In the gold fight, England's David McBeath gave a scare to both Harmeet Desai and India when the Indian, after leading 2-0, went down 2-3 in what was a wonderful comeback by the Englishman. David had the presence of mind to slow down the game and catch Harmeet on the wrong foot several times in the last three games to put his team one-up. 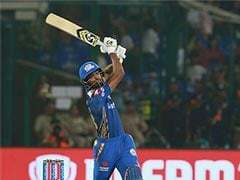 But Soumyajit Ghosh beat Helshen Weerasinghe rather easily to level the score as the Sri Lankan origin player did not have any answer to Ghosh's rapid play. Though Weerasinghe tried to borrow his team mate's line, it did not work against the top Indian player. 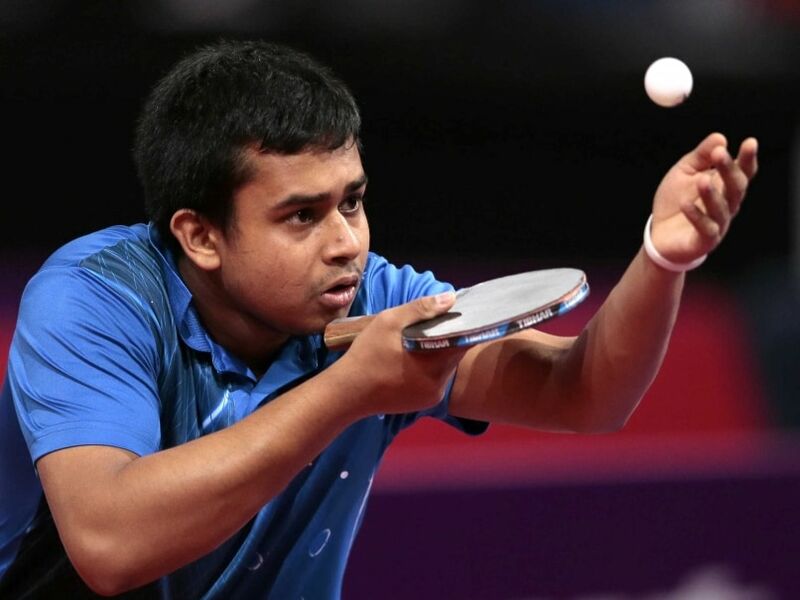 G. Sathiyan, taking on England's weakest link rolled over Tom Jarvis in straight games to put India 2-1 up. 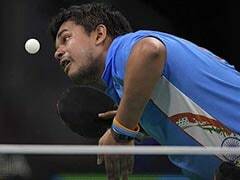 But the advantage cushion worked in favour of Ghosh in his reverse singles against McBeath despite the Englishman displaying all his tricks against the Indian. Ghosh, lost the second extended game, but caught up slowly but steadily to the chagrin of Indian spectators. McBeath had Ghosh in all sorts of trouble despite the latter having a sizeable lead in both the games. In the third, Ghosh was up 4-0 but the England paddler came very close to the discomfiture of the host player. Similarly in the fourth, Ghosh was on top hurrying with his game and led 5-1 before allowing McBeath to level and go 6-5 up and 8-all. But then, Ghosh seized on a net error by his opponent and from there the game, match and the title went the Indian way. 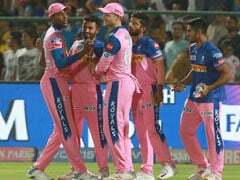 Singapore eves' superiority was never in doubt, nor was there any false hope about the Indians upsetting their rivals in the final. However, one did expect our women paddlers to put up a semblance of fight to make the contest interesting. Instead, it turned out to be boring and one-sided.